Informational interviews are perfect for college students who want to learn more about a specific major, professionals who are interested in changing careers, and anyone else who just wants to expand their knowledge about the various jobs available in the workforce. The great thing about these interactions is that you are the one in charge – rather than being grilled with questions, you have the opportunity to turn the table and ask some of your own! 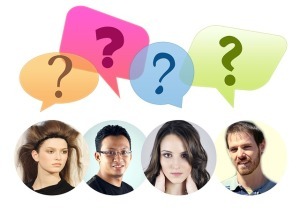 But what are the best informational interview questions to ask? Well, the answer is going to depend on what major or career you are interested in learning more about, so you will need to sort through some of the various informational interview questions below and pick out those that fit best. Remember, it’s better to go in with too many questions rather than too few – I recommend prioritizing them before going into the interview so that you are guaranteed to get answers to the most important ones. 1. Do you typically do the same thing each day or do your tasks frequently change? 3. Do you typically work the same shift every day or does it change based on what your clients and business need? 5. What education level did you have to obtain for your specific position? 6. How many years of experience are typically required for your position? 7. What is something that you see new college graduates in this field struggle with the most? 8. What are some of the main reasons that people leave this position/field of work? 9. Are there a lot of opportunities for advancement in this field? 11. What college major and minor would help get a job in this career field? 12. Are there any specific courses that I should be taking to get a job in this field? 13. Would you recommend going straight to graduate school or getting some work experience first? 14. Can a person get a job in this field without a related degree? 15. How many internships do you think college students should complete prior to graduating? 19. What is the interview process typically like for an entry-level position here? 20. Do you find that having an advanced level degree is beneficial to employees? (Depending on your interests, you may want to ask some informational interview questions that ask if a higher degree equates to higher pay, promotions, or better company incentives). 21. Does your company provide tuition reimbursement? 22. What is the minimum words-per-minute (wpm) typing requirement for employees? 23. Do you find the managers to be supportive and open to feedback from their employees? 24. Is there a dress code? If so, can you provide an example of what is acceptable to wear? 25. Do employees get anything for reaching milestones or accomplishing goals? 26. Would you consider this company to be innovative? 27. Do you find that the company is good about communicating changes to employees? 28. Does the company higher new college graduates? 29. What is the overall morale of the office? 30. Do people tend to keep to themselves or interact with each other? 31. Does your company organize social outings and activities? 32. What makes this company stand out from others in the field? 33. Has the company ever had to lay off employees? 34. What various entry-level positions does your company offer? 35. Do you feel that the company has a good benefits package? 36. Does the company offer health insurance, dental, and vision coverage? 37. Are employees expected to work any holidays throughout the year? Depending on how much you know about the person you are interviewing, you may need to do some of your own research to come up with the best informational interview questions to ask them. Use the following suggestions as a base to create your own! 38. How long have you worked for the company? 39. What other positions have you held in this field? 40. What was your college major? 41. Do you feel like your job allows you to have a good work/life balance? 42. What are the qualities you look for in people who are interested in working in this field (or position)? 43. Did you always know that you wanted to work in this field? 44. If you didn’t work here, where else would you consider working? 45. What helped you to get to where you are today? 46. If you could do it all over again, would you change anything? 47. What is the highest position you can achieve with your education and/or experience? 48. If you were in charge of hiring someone, what would you look for? 49. What certifications, licenses, or trainings do you have? 50. What attracted you to work with this specific population? 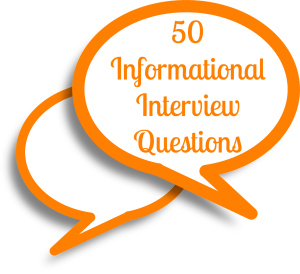 These 50 informational interview questions are just the tip of the iceberg – you can easily tailor any of these to meet your needs or use them as inspiration to make your own! 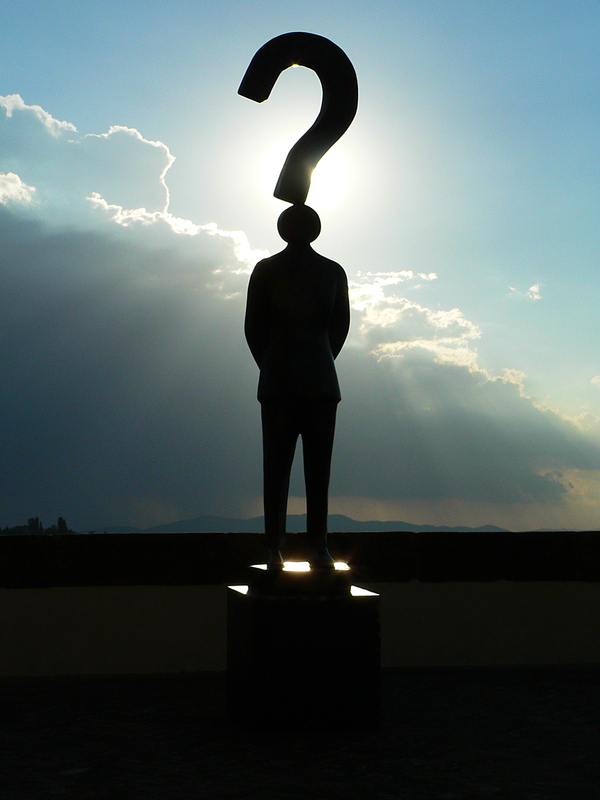 Don’t forget to prioritize your questions so that the most important ones are first. Depending on who you interview and how much time they have in their schedule, you may only have 30 minutes to an hour to get all of your questions answered. If something comes up and you can’t get schedules coordinated, then ask the person you would like to interview if they would be okay with you emailing them some questions instead. If they agree, then choose your top ten informational interview questions and send them – the last thing you want to do is send a laundry list and overwhelm them! If had the opportunity to ask only one question from this list, which one would you choose? I’d love to hear your answers in the comments below! So glad to hear it helped, Brent! This is what i needed right now because in next week my informational interview is coming up and don’t have any idea about it so found out this article which i think is very helpul for people who are going to attend interviews and on similar note also found this article about interview questions asked in informational interviews which is also helplful for other job seekers too.Thank you. Glad it was helpful! What field are you doing your informational interview in? They can be so full of knowledge!